Meals and Wheels and Home Depot Keep the Music Alive for a Navy Vet. In 1989, James travelled from Santa Monica to San Francisco looking for a fresh start, a new group of friends to hang out with, and the pursuit of the Bay Area’s burgeoning post-psychedelic music scene. While he couldn’t afford to go to concerts, he found an alternative way to enjoy the music scene; in the 90s and early 2000s, he worked shifts at the Warfield during concerts in order to hear some of his favorite bands perform, such as David Bowie and the Grateful Dead. Once the crowds departed and the theater closed, he and his buddies would sneak on stage, pull out their own guitars and pretend they were performing alongside their rock legend heroes. “We would brag to our friends that “we played the Warfield”– it was our own private joke,” James explained with a mischievous smile. James was homeless more than half of his stay in San Francisco. Home was a small tent in Golden Gate Park, and while he had little money and was not sure where his next meal might come from, the Vietnam era Navy veteran maintained his desire to help others by volunteering at various shelters including St. Anthony’s and Hamilton Methodist Church. He struggled with substance abuse while he was homeless and it wasn’t until he suffered brain damage as a result of contracting pneumococcal meningitis – a deadly form of meningitis -- that he decided he needed to make a change, otherwise he would be dead. 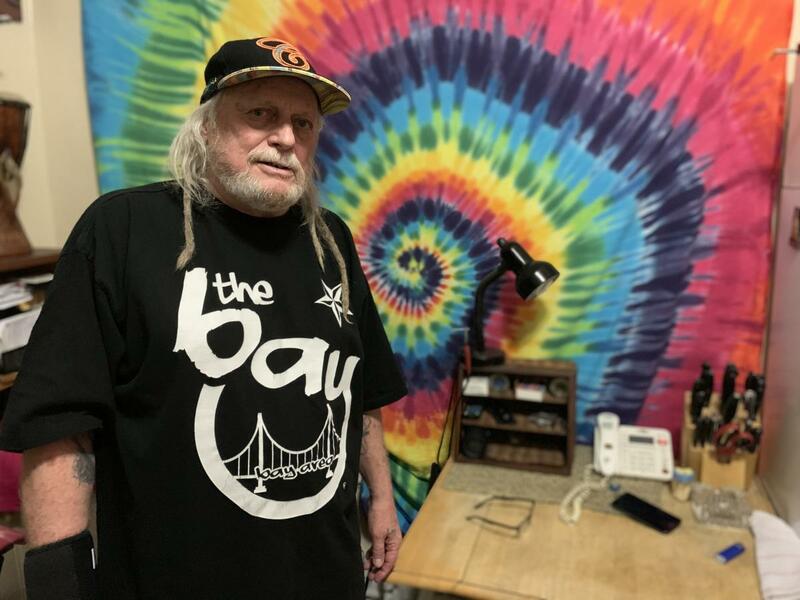 In 2009, shortly after he was released from the hospital, James moved into a single-room-occupancy hotel in San Francisco’s Tenderloin District and where he currently lives today. While his room is small, it is very neat and tidy. With an artist’s eye, he’s carefully decorated his room by displaying a large tie-dye sheet window covering – a reminder of his love for the Grateful Dead, and a guitar he used to play while living on the streets. Life after being released from the hospital has been rough for James. 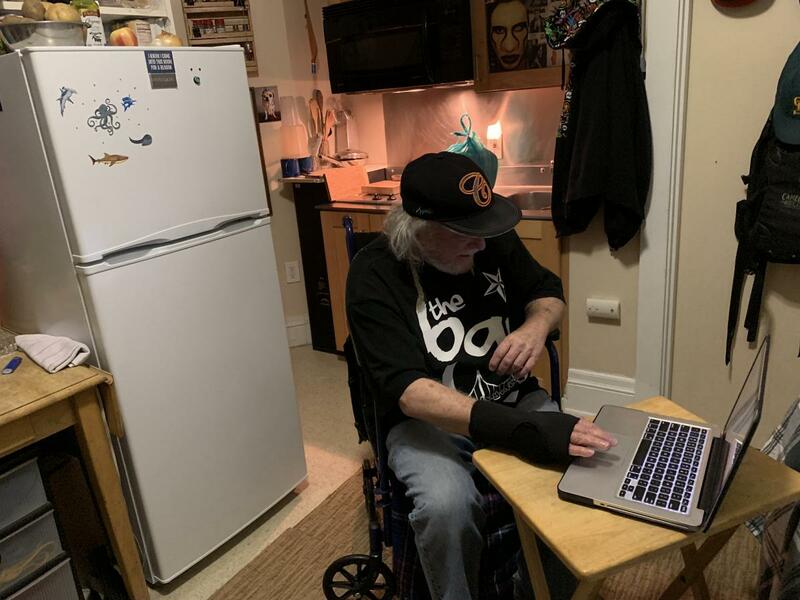 He lives on less than $850 a month, relies on a wheel chair and walker to get around, and continues to manage his significant health issues with help from Meals on Wheels San Francisco's nutrition department. Recently, James received a brand new bedframe and mattress as well as a laptop courtesy of the Home Depot Foundation. He enjoys the new bed which also serves as a couch where he can watch his favorite television programs and enjoy his extensive music collection while reliving the days he played the Warfield. Adults over 65 are the fastest growing age group in San Francisco, currently make up 17 percent of the population, a 3 percent increase from 2010. They are expected to make up more than 30 percent of the population by the year 2030, according to city estimates.